We now have a Facebook page, so if you would like to stay updated please do give us a ‘Like’. If you have visited the Church or held an event here, or have some photos to share, please feel free to post them on our page – we’d love to see them. 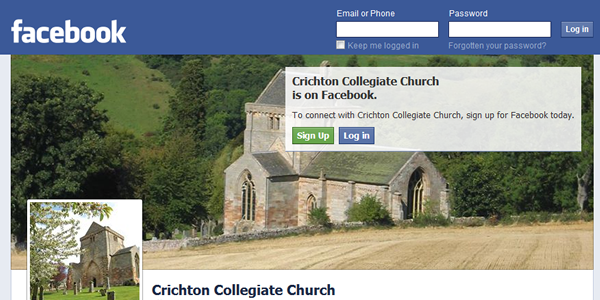 Thank you for all your loving care of Crichton Church! Special thank s to Mr. Henry Duncan. God bless! it was a year ago we were there!